CVP has launched a new visual online tool to help calculate lens coverages when paired with various cameras and resolutions taking out the guesswork when preparing for a job and choosing lenses. Of course, you should still do your own checks when finalising your lens choices. 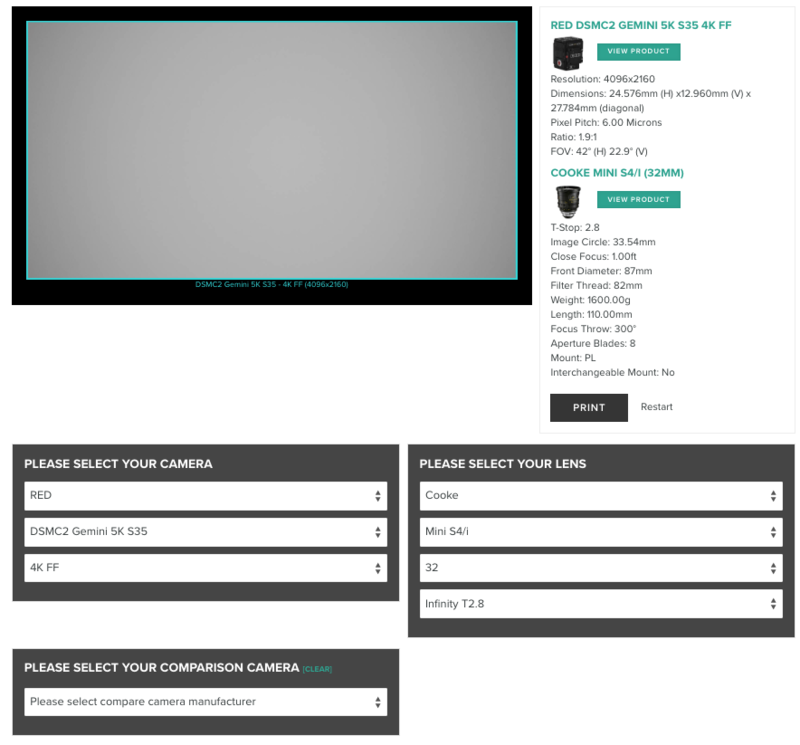 The Lens Coverage and Camera Comparison Tool is available at the CVP website. It’s also worth checking against AbelCine’s FOV Tool 2.0, which can also be used to compare the field of view of various cameras in different resolutions and lens combinations. If you are shooting on an ARRI camera, you can also try their Lens Illumination Guide.